In earlier garden years the Moosey tradition was to plant memorial roses. Concerned that this was just another excuse to buy more roses, something more serious and lasting seemed appropriate. Meet Smoocher, my wonderfully smoochy ginger cat. So far I've planted two cat memorial trees. 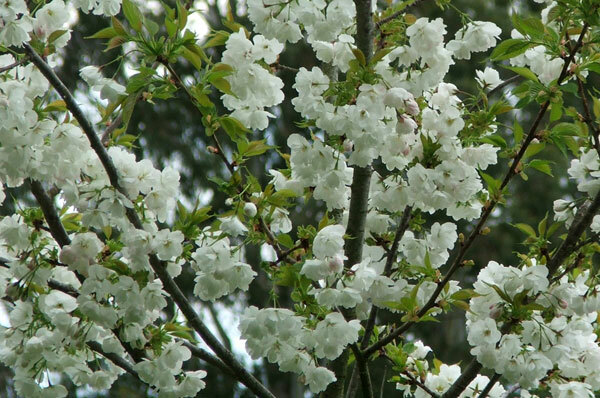 One is a vase-shaped Mount Fuji flowering cherry tree, with beautiful white blossom in the springtime. It's in honour of Smoocher the ginger cat and his short, smoochy life at Mooseys. 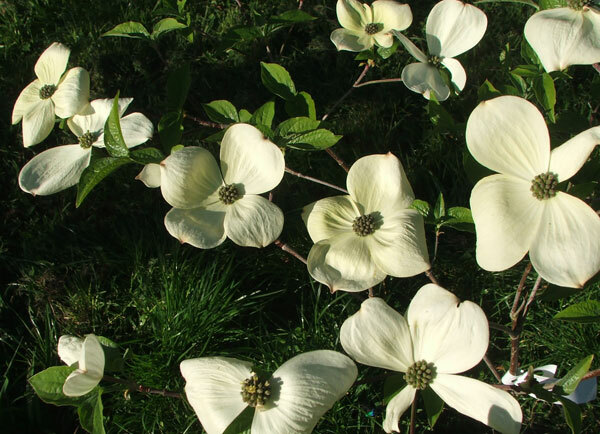 The second, smaller tree is a Cornus (or Dogwood), named 'Eddies White Wonder', marking the spot where my 'white wonder cat' B-Puss was laid to rest in 2007. Meet my eccentric white cat B-Puss. Eddies White Wonder has beautiful white bracts in late spring, and I love it to bits (just like I love B-Puss). Both these cats were far too young when they left us, but their special trees (complete with irrigation drippers), like their memories, are still growing strong. Three more dearly departed cats now have their trees planted in Cat memorial Row. 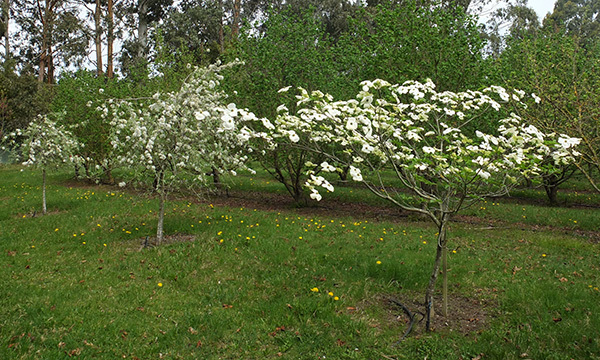 The two grey sisters Jerome and Stumpy have a weeping Silver Pear tree each, and little Mugsy with the orange and black face has a Black Boy Peach. The Silver Pears have just had their first blossom. Phew - these last three dear cats led long happy lives. They all went 'in' some months before their trees - to everything there is a season, you understand. No - don't worry, for now there are no more cat memorials. But Stu lamb, the pet lamb I reared in the September spring of 2010, regretfully didn't last very long. 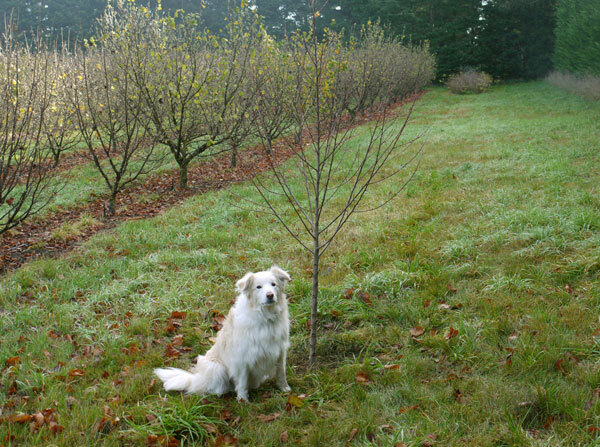 He is also buried in the Memorial Row, with a Golden Queen peach tree, just planted.